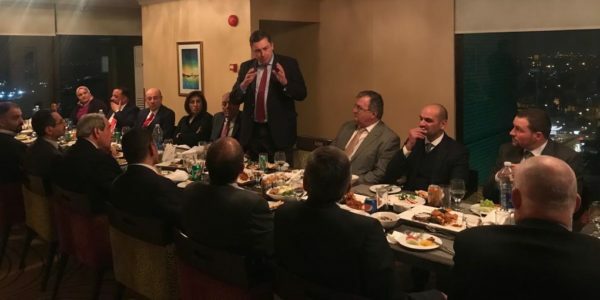 The Iraq Britain Business Council held a dinner for members and guests at the Babylon Hotel in Baghdad on 15 January. The dinner was hosted by Rasmi Al Jabri, Deputy Chairman of IBBC and Christophe Michels, Managing Director of IBBC. Dr Sami Al Araji Chairman of the National Investment Commission and Jonathon Wilks, Her Majesty’s Ambassador to Iraq addressed guests at the event on the opportunities and challenges that face Iraq in 2019. 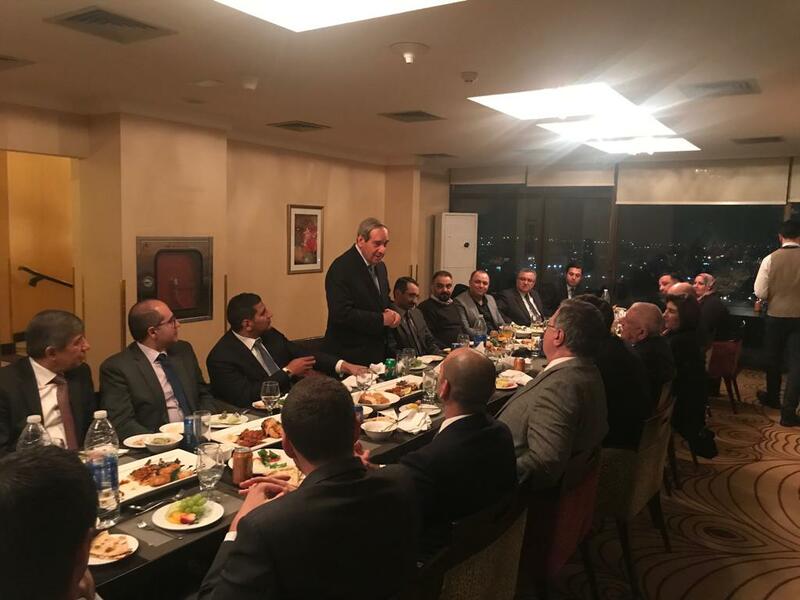 The dinner also included Bev Simpson, the Director of DIT Iraq, Shwan Aziz Ahmed, Chief of Staff to DPM Fuad Hussain and Dr Yaseen A. Abbas of the Iraqi Red Cresent Society. Numerous member representatives were in attendance from Al Burhan Group, Al Nukhba, Basra Gateway Terminal, EY, G4S, GE, Gulfsands Petroleum, International Islamic Bank, Khudairi Group, Management Partners, National Bank of Iraq, Restrata, Serco, Siemens and our newest member, Al Maseer Insurance Company.